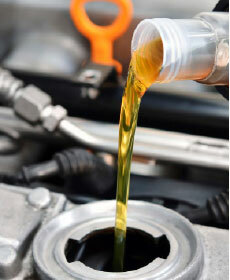 Service includes: Replace up to 5 quarts synthetic oil. Replace Engine Oil Filter. Perform Comprehensive Multi-Point Inspection. $45.95 for full synthetic. Plus Tax. Mitsubishi vehicles only. Includes hazardous waste disposal fee. Please present coupon at time service order is written. May not be combined with other coupons, discounts or advertised specials. Expires 3/10/2018.